I wanted to update my “weaning kit list'“ with some of my new finds, these are tried and tested recommendations, none of the below products are part of an #ad, they are just things I have found useful. Second time round I have bought a few new things, but mostly I am using products I already have in my kitchen, or that I bought when I started solid foods with my daughter. You don’t need to spend a fortune, but if you do want some new kit take recommendations from friends and other parents, you can waste so much money and simple really is best. Here are a few items I rate and use daily! N.b. please follow instructions for use on all the below products and follow their appropriate age guidelines. JoJo Maman Bebe Silicon Bib: https://www.jojomamanbebe.co.uk/d4456.html I love that this is machine washable and has a little pocket for catching spills. John Lewis Long Sleeve Bibs: https://www.johnlewis.com/john-lewis-partners-baby-bear-terry-bibs-pack-of-2-blue-multi/p3409340 Soft bibs are hard to find and these are made from lined fabric. Great that they tie round the waste, so they fit securely. Anything to save on washing! Baby Bjorn Soft Bib: https://www.babybjorn.co.uk/kitchen/soft-bib/ I like this soft bib also. It’s well made and lasts really well. 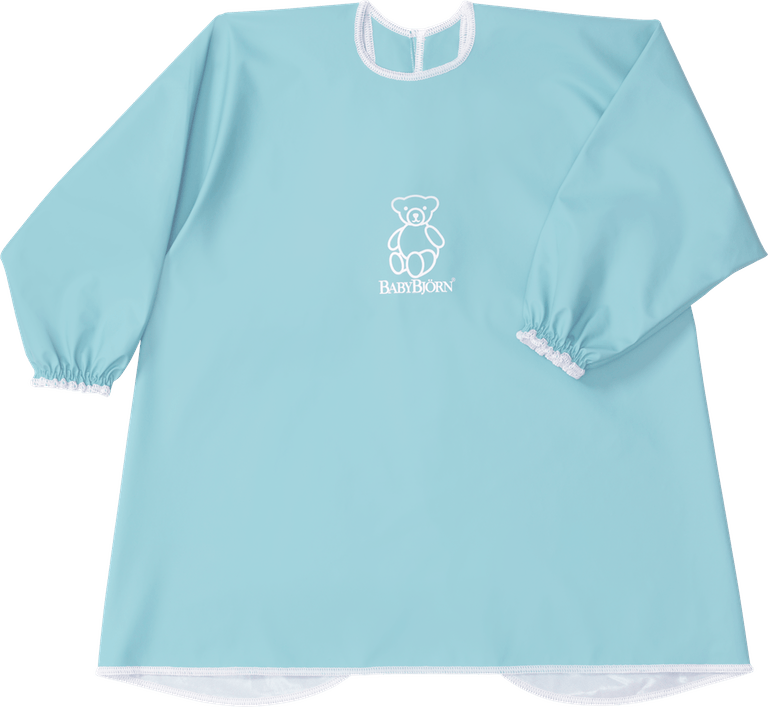 Baby Bjorn Long Sleeve Bib: https://www.babybjorn.co.uk/kitchen/long-sleeve-bib/?attribute_pa_color=turquoise These long sleeve bibs are an investment but I still use the one’s I bought almost 3 years ago! They are for older babies so check the age guidelines, but they are great for anything from mealtimes to painting. 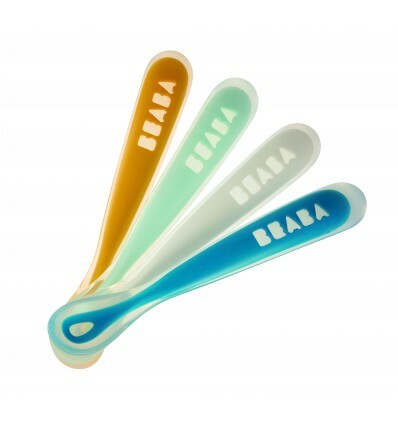 Beaba Soft Silicon First Spoons: https://beaba.co.uk/baby-feeding-supplies/87-set-of-4-ergonomic-1st-age-spoons-3384349134143.html I love these soft spoons they have been great. 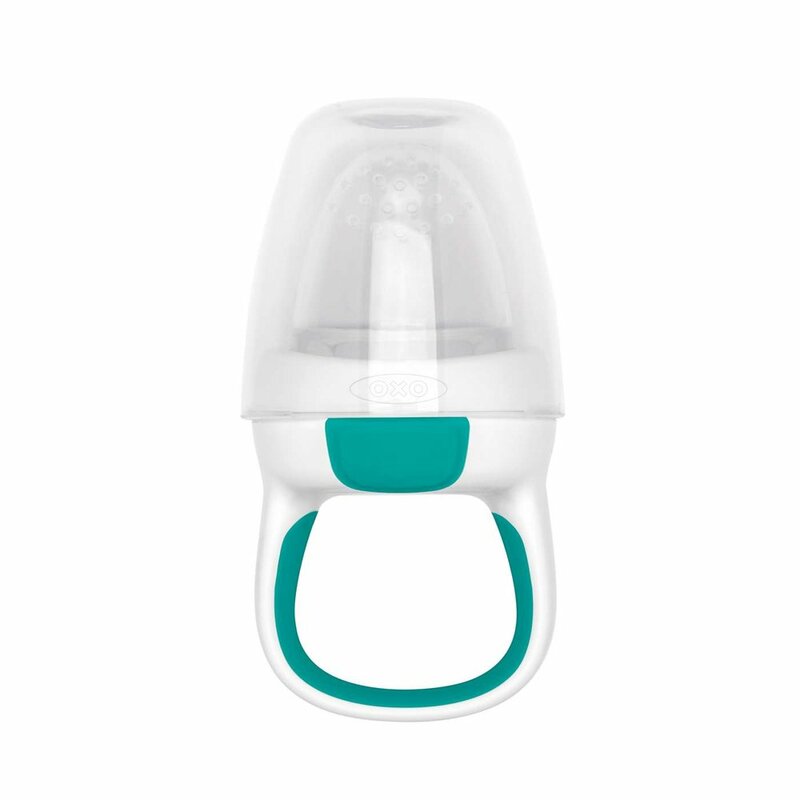 Oxo Tot Self Feeder Set: https://www.oxouk.com/products/christmas/gifts-15-and-under/silicone-self-feeder This is a new discovery and a total revelation: I fill this this with avocado, melon, banana and so on… My son adores it. Avanchy Stainless Steel Bowl: https://avanchy.com/collections/stainless-steel-collections/products/avanchy-stainless-steel-suction-baby-bowl-lid-2018?variant=4557193773083 I am a huge fan of Avanchy and their bamboo feeding products, better still is there new stainless steel range, these bowls with suction bases and storage lids are so useful. You are cooking all this good homemade food - now how to store it? Here are a few things I have bought which I have found useful. 1.& 2. Beaba Silicon Multi-Portion Trays: https://beaba.co.uk/food-storage/18-beaba-silicone-multiportions.html#/59-size-6_x_90_ml/46-color-blue The best trays I have found and they come in various sizes, depending on the quantities your baby is eating and that you need to store. 3. 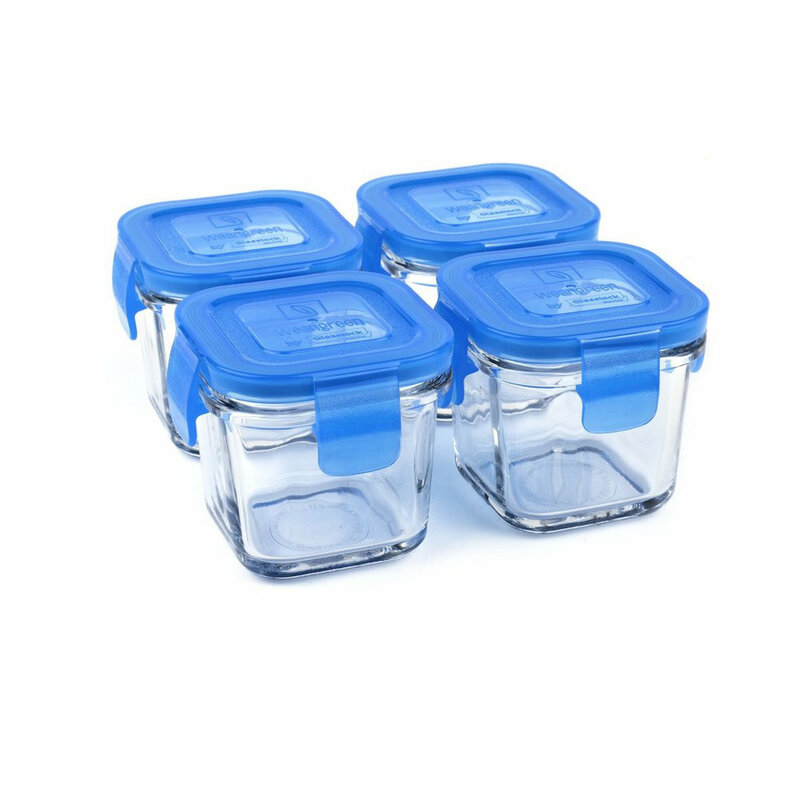 Beaba Portion Pots: https://beaba.co.uk/food-storage/10-baby-portion-120-ml-tritan.html#/46-color-blue Really useful and I always have a few on the go in my fridge with the days food portioned out in them. 4. Beaba Glass Jars, via JoJo Maman Bebe: https://www.jojomamanbebe.co.uk/beaba-set-of-glass-jars-e2567.html On my wish list, love that these are glass. 5. Lakeland zip and lock freezer bags: https://www.lakeland.co.uk/10917/24-Lakeland-Zip-Seal-Freezer-Bags-26-x-29cm So useful if you are freezing purees or finger foods. 7. Wean Green Storage Pots: https://weangreen.com/products/wean-cube?variant=12221114187818 these are brilliant my absolute favourite storage system, for all the families food. This mini size is perfect for baby size portions. 8. 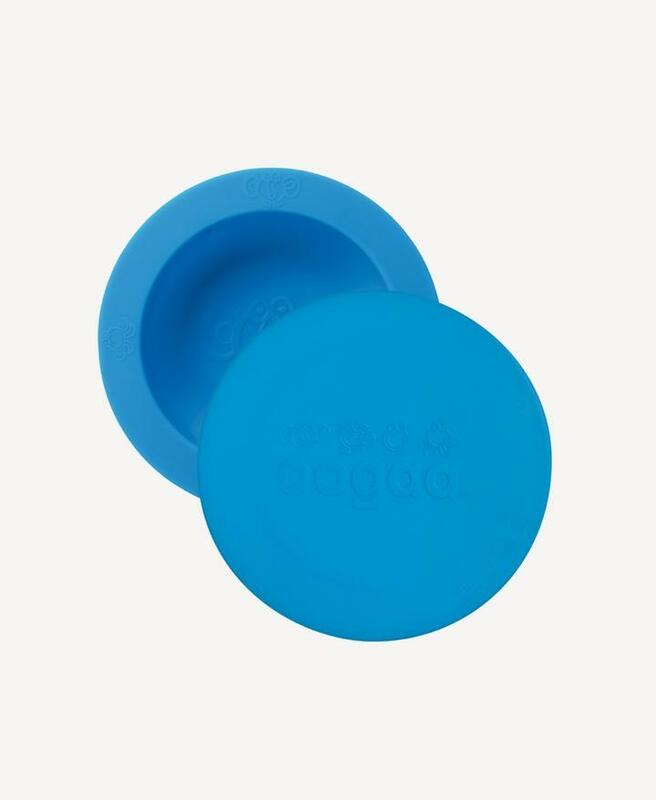 Oogaa Bowl with lid, from the Little Green Home: https://www.littlegreenhome.co.uk/collections/weaning/products/oogaa-blue-bowl-with-lid Really useful for storing portions of food in the fridge. The key time to save is on cooking equipment: you so not need expensive blending and steaming machines (in my opinion). I find a stick blender so much easier to clean and doesn’t limit the quantities I can blend, the amounts you make will increase, as your babies food intake increases. Braun Stick Blender from John Lewis: https://www.johnlewis.com/braun-mq523-multiquick-5-baby-food-hand-blender/p3395243?sku=237295541&s_kwcid=2dx92700036667135190&tmad=c&tmcampid=2&gclid=EAIaIQobChMIgIKM75Pc3gIVTLvtCh1-YgDBEAQYASABEgLiGPD_BwE&gclsrc=aw.ds The most essential piece of kit, if you buy anything buy a stick blender. I blend all babyfood with this. Set of cooking pots: https://www.johnlewis.com/le-creuset-3-ply-stainless-steel-saucepan-set-3-piece/p230418209 These are a real investment but they last a lifetime, I buy one or two each year and have amassed a good collection. I really enjoy them and like that they don’t have non-stick coatings. 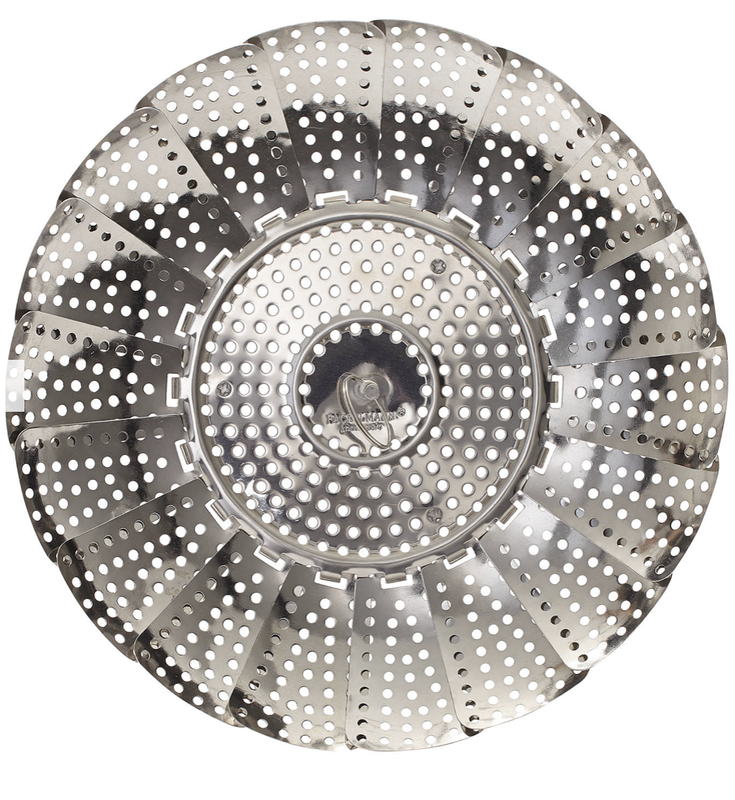 Basic Steamer Basket: https://www.johnlewis.com/john-lewis-partners-steamer-basket-dia-23cm/p639283 Hopefully you have one of these already but this really is all you need. Joseph Jospeh spatulas: https://www.josephjoseph.com/en-gb/elevate-spoon-spatula I like the design of these, they have a clever ledge, so they can rests off the work surface whilst your cooking… ingenious! Chicco Polly Relax Magic Highchair: https://www.johnlewis.com/chicco-polly-magic-relax-highchair-legend/p3440274 This chair is exclusive to John Lewis but I really like that it has a soft padded seat. I started weaning my son early and this chair reclines too, so I used it as both a bouncer and a feeding highchair (in its most upright setting). It is sturdy, easy to clean and on wheels, so I can easily move him around the kitchen. Baby Dan DanChair: https://www.johnlewis.com/babydan-danchair-white/p2403509 I like the adaptability of this chair: it can see you through to a toddler seat so worth the investment. Stokke Steps Chair: https://www.stokke.com/GBR/en-gb/highchairs/stokke-steps/5129.html?gclid=CjwKCAiAs8XiBRAGEiwAFyQ-esruwVyUNts-690nE_inCiFcznXIIN3fJ9XXqIxccYjypEvfVVQnARoCwhwQAvD_BwE My daughter uses this chair: it is so easy to clean and a great design. My son also uses the same chair with the baby seat attachment. Its an investment but beautifully made. 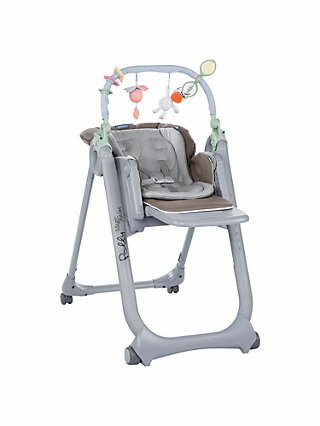 Joie Baby Mimzy Snacker Highchair: https://www.johnlewis.com/joie-baby-mimzy-snacker-highchair-twinkle-linen/p3155585 I used this chair with my daughter and I think its great value for money. If you don’t want to spend a lot this is a good option. I also like that it has a storage basket underneath for bibs and toys etc. It also folds easily, so if you are limited for space you can fold it up and tuck it away in a cupboard when you need to.